I’d like to announce the winning birthday cake of Nikki’s Birthday Cake Vote. Drumroll please. And, the winner is…! Thanks for voting, everyone! I’m sure Nikki’s going to love her new birthday cake. Yayyyyy thats such a cute cake!! Awesome! It has Chloe’s rainbows, Zoey’s unicorns, Brandon’s animal (unicorn), Mackenzie’s makeup (the unicorn has blush) and Nikki’s artsy stuff! It satisfies everyone. ITS SOOOO CUUUTTTTEEE!!!!!!! I LOVE IT I’m so glad it’s the winner SQUUUUEEEEE!!!!!! I’m probably super excited because that was the one I voted for! I am about to make a princess cake!! The cake is adorable.Happy birthday Nikki. congrats Zoey.#unicorns for life. That unicorn cake was so cute and i love unicorns so much,Unicorn theme parties are awesome!!!!! Hope you have a great B-day party!!! 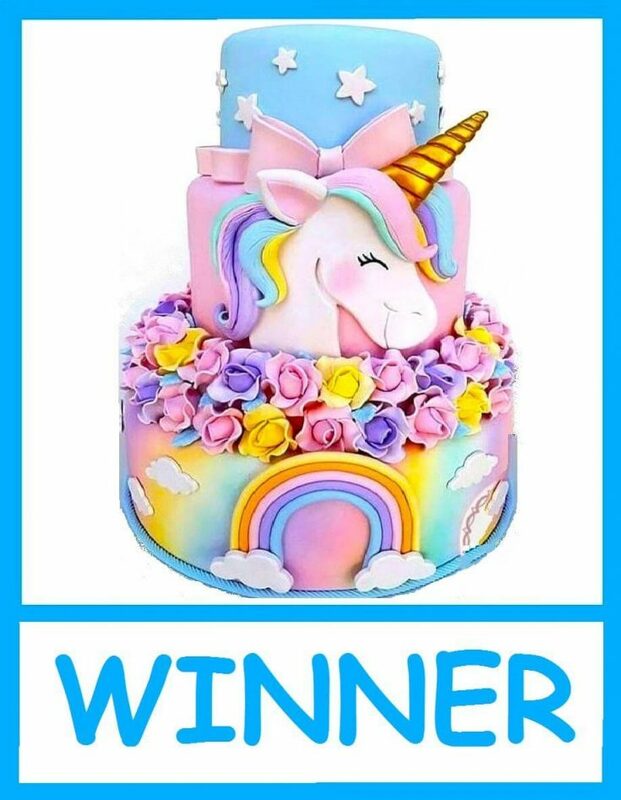 I love the cake and I love UNICORNS!!!!!!!!!!!!!!!!!!!!!!!!!!!!!!!!!!!!!!!!!!!!!!!!!!!!!!!!!!!!!!!!!!!!!!!!!!!!!!!!!!!!!!!!!!!!!!!!!!!!!!!!!!!!!!!!!!!!!!!!!!!!!!!!!!!!!!!!!!!!!!!!!!!!!!!!!!!!!!!!!!!!!!!!!!!!!!!!!!!!!!!!!!!!!!!!!!!!!!!!!!!!!!!!!!!!!!!!!!!!!!!!!!!!!!!!!!!!!!!!!!!!!!!!!!!!!!!!!!!!!!!!!!!!!!!!!!!!!!!!!!!!!!!!!!!!!!!!!!!!!!!!!!!!!!!!!!!!!!!!!!!!!!!!!!!!!!!!!!!!!!!!!!!!!!!!!!!!!!!!!!!!!!!!!!!!!!!!!!!!!!!!!!!!!!!!!!!!!!!!!!!!!!!!!!!!!!!!!!!!!!!!!!!!!!!!!!!!!!!!!!!!!!!!!!!!!!!!!!!!!!!!!!!!!!!!!!!!!!!!!!!!!!!!!!!!!!!!!!!!!!!!!!!!!!!!!!!!!!!!!!!!!!!!!!!!!!!!!!!!!!!!!!!!!!!!!!!!!!!!!!!!!!!!!!!!!!!!!!!!!!!!!!!!!!!!!!!!!!!!!!!!!!!!!!!!!!!!!!!!!!!!!!!!!!!!!!!!!!!!!!!!!!!!! Yeah, I agree with yours.Even though I haven’t seen it.If you say it’s good I will like it too. are your personalities alike in some way or another? I love that cake!! I wish I had that one for my birthday. I’m so jealous! That’s soo perfect for Birthday Party!!!! This cake was soooooo cute!! !